The Lockheed U-2, nicknamed "Dragon Lady", is a single-engine, very high-altitude reconnaissance aircraft operated by the United States Air Force and previously flown by the Central Intelligence Agency. It provides day and night, very high-altitude (70,000 feet / 21,000 meters), all-weather surveillance. The aircraft is also used for electronic sensor research and development, satellite calibration, and satellite data validation. In the early 1950s, with Cold War tensions on the rise, the U.S. military required better strategic reconnaissance to help determine Soviet capabilities and intentions. The existing surveillance aircraft were primarily bombers converted for reconnaissance duty, vulnerable to anti-aircraft artillery, missiles, and fighters. It was thought an aircraft that could fly at 70,000 feet (21,000 m) would be beyond the reach of Soviet fighters, missiles, and even radar. This would allow "overflights"-knowingly violating a country's airspace-to take aerial photographs. Under the code name "AQUATONE", the Air Force gave contracts to Bell Aircraft, Martin Aircraft, and Fairchild Engine and Airplane to develop proposals for the new reconnaissance aircraft. 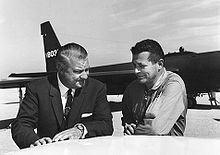 Officials at Lockheed Aircraft Corporation heard about the project and asked aeronautical engineer Clarence "Kelly" Johnson to come up with a design. Johnson was a brilliant designer, responsible for the P-38 Lightning, and the P-80. He was also known for completing projects ahead of schedule, working in a separate division of the company jokingly called the Skunk Works. Johnson's design, called the CL-282, married long glider-like wings to the fuselage of another of his designs, the F-104 Starfighter. To save weight, his initial design didn't even have conventional landing gear, taking off from a dolly and landing on skids. The design was rejected by the Air Force, but caught the attention of several civilians on the review panel, notably Edwin Land, the father of instant photography. Land proposed to CIA director Allen Dulles that his agency should fund and operate this aircraft. After a meeting with President Eisenhower, Lockheed received a $22.5 million contract for the first 20 aircraft. It was renamed the U-2, with the "U" referring to the deliberately vague designation "utility". The first flight occurred at the Groom Lake test site (Area 51) on 1 August 1955, during what was only intended to be a high-speed taxi run. The sailplane-like wings were so efficient that the aircraft jumped into the air at 70 knots (130 km/h). James Baker developed the optics for a large-format camera to be used in the U-2 while working for Perkin-Elmer. These new cameras had a resolution of 2.5 feet (76 cm) from an altitude of 60,000 feet (18,000 m). Balancing is so critical on the U-2 that the camera had to use a split film, with reels on one side feeding forward while those on the other side feed backward, thus maintaining a balanced weight distribution through the whole flight. 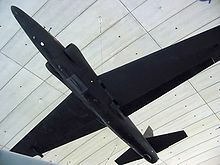 When the first overflights of the Soviet Union were tracked by radar, the CIA initiated Project RAINBOW to reduce the U-2's radar cross section. This effort ultimately proved unsuccessful, and work began on a follow-on aircraft, which resulted in the Lockheed A-12 Blackbird. Manufacturing was restarted in the 1980s to produce TR-1/U-2R aircraft. The unique design that gives the U-2 its remarkable performance also makes it a difficult aircraft to fly. It was designed and manufactured for minimum airframe weight, which results in an aircraft with little margin for error. Most aircraft were single-seat versions, with only five two-seat trainer versions known to exist. Early U-2 variants were powered by Pratt & Whitney J57 turbojet engines. The U-2C and TR-1A variants used the more powerful Pratt & Whitney J75 turbojet. The U-2S and TU-2S variants incorporated the even more powerful General Electric F118 turbofan engine. High-aspect-ratio wings give the U-2 some glider-like characteristics, with a lift-to-drag ratio estimated in the high 20s. To maintain their operational ceiling of 70,000 feet (21,000 m), the U-2A and U-2C models (no longer in service) must fly very near their maximum speed. The aircraft's stall speed at that altitude is only 10 knots (19 km/h) less than its maximum speed. This narrow window was referred to by the pilots as the "coffin corner". For 90% of the time on a typical mission the U-2 was flying within only five knots above stall, which might cause a decrease in altitude likely to lead to detection, and additionally might overstress the lightly built airframe. The U-2's flight controls are designed around the normal flight envelope and altitude that the aircraft was intended to fly in. The controls provide feather-light control response at operational altitude. However, at lower altitudes, the higher air density and lack of a power-assisted control system makes the aircraft very difficult to fly. Control inputs must be extreme to achieve the desired response in flight attitude, and a great deal of physical strength is needed to operate the controls in this manner. The U-2 is very sensitive to crosswinds which, together with its tendency to float over the runway, makes the U-2 notoriously difficult to land. 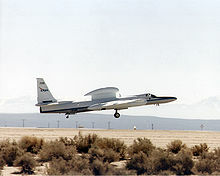 As the aircraft approaches the runway, the cushion of air provided by the high-lift wings in ground effect is so pronounced that the U-2 will not land unless the wing is fully stalled. To assist the pilot, the landing U-2 is paced by a chase car (usually a "souped-up" performance model including a Ford Mustang SSP, Chevrolet Camaro B4C, Pontiac GTO, and the Pontiac G8) with an assistant (another U-2 pilot) who "talks" the pilot down by calling off the declining height of the aircraft in feet as it decreases in airspeed. Instead of the typical tricycle landing gear, consisting of a nose wheel and two sets of main wheels, one under each wing, the U-2 uses a bicycle configuration, with the forward set of main wheels located just behind the cockpit, and the rear set of main wheels located behind the engine, coupled to the rudder in order to provide taxi steering. To maintain balance while taxiing for takeoff, the ground crew installs two auxiliary wheels, called "pogos". These fit into sockets under each wing at about mid-span, and fall onto the runway as the aircraft takes off. To protect the wings during landing, each wingtip has a titanium skid. After the U-2 comes to a halt, the ground crew re-installs the pogos. Two of the ground crew members pull down on the higher, lighter wing to level the aircraft and allow the third member to install the first pogo on the lower, heavier wing. The lighter wing is then eased back up and one crew member lifts it slightly while another installs the pogo. Once the aircraft weight rests on the heavier wing's pogo, the ground crew clears the aircraft and it continues its taxi to parking. Because of the high operating altitude, the pilot must wear the equivalent of a space suit. The suit delivers the pilot's oxygen supply and emergency protection in case cabin pressure is lost at altitude (the cabin provides pressure equivalent to about 29,000 feet / 8,800 metres). To prevent hypoxia and decrease the chance of decompression sickness, pilots don a full pressure suit and begin breathing 100% oxygen one hour prior to launch to de-nitrogenize the blood; while moving from the building to the aircraft they breathe from a portable oxygen supply. The aircraft carries a variety of sensors in the nose, Q-bay (behind the cockpit, also known as the camera bay), or wing pods. The U-2 is capable of simultaneously collecting signals, imagery intelligence and air samples. Imagery intelligence sensors include either wet film photo, electro-optic or radar imagery - the latter from the Raytheon ASARS-2 system. It can use both line-of-sight and beyond-line-of-sight data links. One of the most unusual instruments in the newest version of the U-2 is the off-the-shelf Sony video camera that functions as a digital replacement for the purely optical viewsight (an upside down periscope-like viewing device) that was used in older variants to get a precise view of the terrain directly below the aircraft, especially during landing. Picture - U-2 testing aboard USS America (CV-66). Though the U.S. Air Force and Navy would eventually fly the U-2, it was originally a CIA operation, run through the Office of Scientific Intelligence. Due to the political implications of a military aircraft invading a country's airspace, only CIA U-2s conducted overflights. The pilots had to resign their military commissions before joining the CIA as civilians, a process they referred to as "sheep dipping". As with CIA involvement, besides the normal construction and serial number for each aircraft produced, each U-2 also has an "Article Number" assigned, and each U-2 would be referred to with its article number on classified internal documents/memos. As often happens with new aircraft designs, there were several operational accidents, some fatal. The first fatal accident was on 15 May 1956, when the pilot stalled the aircraft during a post-takeoff maneuver which was intended to drop off the wingtip outrigger wheels. The second occurred three months later, on 31 August when the pilot stalled the aircraft immediately after takeoff. Two weeks later, a third aircraft disintegrated during ascent, also killing the pilot. There were a number of other non-fatal incidents, including at least one which resulted in the loss of the aircraft. Once U-2 units became operational, two units were deployed to Europe and one to the Far East. The first U-2 overflight of the Soviet Union occurred on 4, 1956. Leaving from Wiesbaden, Germany, the pilot Harvey Stockman flew over Poland, Belorussia, and the Soviet Baltic, before returning to Wiesbaden. In 1957, one of the European units was based at the Giebelstadt Army Airfield, Germany, and the Far Eastern unit was based at the Naval Air Facility Atsugi, Japan. The U-2 came to public attention when CIA pilot Francis Gary Powers was shot down over Soviet territory on 1 May 1960, causing the U-2 incident. On 14 October 1962, a U-2 from the 4080th Strategic Reconnaissance Wing, based at Laughlin Air Force Base near Del Rio, Texas, and piloted by Major Richard S. Heyser, photographed the Soviet military installing nuclear warhead missiles in Cuba, precipitating the Cuban Missile Crisis. Heyser concluded this flight at McCoy AFB in Orlando, Florida, where the 4080th established a U-2 operating location for the duration of the crisis. On 27 October 1962, in flight from McCoy AFB, a U-2 was shot down over Cuba by two SA-2 Guideline surface-to-air missiles, killing the pilot, Major Rudolf Anderson, Jr. Anderson was posthumously awarded the first Air Force Cross. In 1963, the CIA started project Whale Tale to develop carrier-based U-2Gs to overcome range limitations. During development of the capability, CIA pilots took off and landed U-2Gs on the aircraft carrier USS Ranger and other ships. The U-2G was used only twice operationally. Both flights occurred from USS Ranger in May 1964 to observe France's development of an atomic bomb test range at Moruroa in French Polynesia. In early 1964, the Strategic Air Command (SAC) sent a detachment of U-2s from the 4080th to South Vietnam for high-altitude reconnaissance missions over North Vietnam. On 5 April 1965, U-2s from the 4028th SRS (Strategic Reconnaissance Squadron) took photos of SAM-2 sites near Hanoi and Haiphong harbor. On 11 February 1966, the 4080th Wing was redesignated the 100th SRW and moved to Davis-Monthan AFB, Arizona. The SRS detachment at Bien Hoa AB, South Vietnam, was redesignated the 349th SRS. The only loss of a U-2 during combat operations occurred on 8 October 1966, when Major Leo Stewart, flying with the 349th Strategic Reconnaissance Squadron, developed mechanical problems high over North Vietnam. 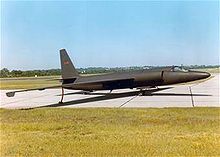 The U-2 managed to return to South Vietnam where Stewart ejected safely. 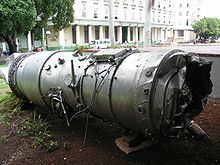 The U-2 crashed near its base at Bien Hoa. In July 1970, the 349th SRS at Bien Hoa moved to Thailand and was redesignated the 99th SRS, remaining there until March 1976. In 1969, the larger U-2Rs were flown from the aircraft carrier USS America. The U-2 carrier program is believed to have been halted after 1969. In June 1976, the U-2s of the 100th SRW were transferred to the 9th SRW at Beale Air Force Base, California, and merged with SR-71 aircraft operations there. When Strategic Air Command was disestablished in the early 1990s, the wing was transferred to the new Air Combat Command (ACC) and redesignated the 9th Reconnaissance Wing (9 RW). In 1977, a U-2 was retrofitted with an upward-looking window so that it could be used for high-altitude astronomical observations of the cosmic microwave background (CMB). This experiment was the first to measure definitively the motion of the galaxy relative to the CMB, and established an upper limit on the rotation of the universe as a whole. In 1984, during a major NATO exercise, Royal Air Force Flight Lieutenant Mike Hale intercepted a U-2 at a height of 66,000 feet (20,000 m), where the aircraft had previously been considered safe from interception. Hale climbed to 88,000 feet (27,000 m) in his Lightning F3. In 1989, a U-2R of 9 RW, Detachment 5, flying out of Patrick Air Force Base, Florida successfully photographed a space shuttle launch for NASA to assist in identifying the cause of tile loss during launch discovered in the initial post-Challenger missions. On November 19, 1998, a NASA ER-2 research aircraft set a world record for altitude of 20,479 metres (67,188 ft) in horizontal flight in the 12,000 kilograms (26,000 lb) to 16,000 kilograms (35,000 lb) weight class. The U-2 remains in frontline service more than 50 years after its first flight despite the advent of surveillance satellites. This is primarily due to the ability to direct flights to objectives at short notice, which satellites cannot do. The U-2 has outlasted its Mach 3 SR-71 replacement, which was retired in 1998. A classified budget document approved by the Pentagon on 23 December 2005 called for the termination of the U-2 program no earlier than 2012, with some aircraft being retired by 2007. In January 2006, Secretary of Defense Donald Rumsfeld announced the pending retirement of the U-2 fleet as a cost-cutting measure, and as part of a larger reorganization and redefinition of the Air Force's mission that includes the elimination of all but 56 B-52s and a complete reduction in the F-117 fleet. Rumsfeld said that this will not impair the Air Force's ability to gather intelligence, which will be done by satellites and a growing supply of unmanned RQ-4 Global Hawk reconnaissance aircraft. However, Congress has not, as of 2009, passed legislation to retire the U-2 as there is no system able to replace it. Proposals to retire the U-2 have been met with significant resistance from military leadership due to gaps in capability that would present if the U-2 were removed from service. In 2009, the Air Force stated that it plans to extend the U-2 retirement from 2012 until 2014 or later. The delay is to allow more time to field the RQ-4 Global Hawk to replace the U-2. In December 2009, South Korea's JoongAng Daily newspaper reported that the RQ-170 Sentinel was to replace U-2s operating from Osan Air Base in 2010. There are current reports that the U-2 has enjoyed a new lease on life in Afghanistan. Since being fitted with new sensors and communications equipment, it has become an indispensable eye-in-the-sky for NATO forces. The high-resolution camera is capable of spotting slight changes in the country’s dry mud paths where the Taliban often bury improvised explosive devices (IEDs). As of early 2010, U-2s from the 99th Expeditionary Reconnaissance Squadron have flown over 200 missions in support of Operations Iraqi Freedom and Enduring Freedom; as well as Combined Joint Task Force - Horn of Africa. The only other U-2 operator was the Republic of China (Taiwan), which flew missions mostly over the People's Republic of China (PRC). Since the 1950s, the Republic of China Air Force had used the RB-57A/D aircraft for reconnaissance missions over the PRC, but suffered two losses when MiG-17s and SA-2 Surface-to-Air Missiles were able to intercept the aircraft. 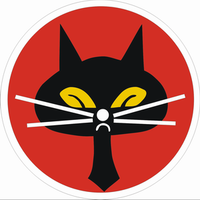 In 1958, ROC and American authorities reached an agreement to create the 35th Squadron, nicknamed the Black Cat Squadron, composed of two U-2Cs in Taoyuan Airbase in northern Taiwan, at an isolated part of the airbase. To create the typical misdirections at the time, the unit was created under the cover of high altitude weather research missions for ROCAF. To the US government, the 35th Squadron and any US CIA/USAF personnel assigned to the unit were known as Detachment H on all documents. But instead of being under normal USAF control, the project was known as Project RAZOR, and was run directly by CIA with USAF assistance. Each of the 35th Squadron's operational missions had to be approved by both the US and the Taiwan/ROC presidents beforehand. To add another layer of security and secrecy to the project, all US military and CIA/government personnel stationed in Taoyuan assigned to Detachment H were issued official documents and ID with false names and cover titles as Lockheed employees/representatives in civilian clothes. The ROCAF pilots and ground support crew would never know their US counterpart's real name and rank/title, or which US government agencies they were dealing with. A total of 26 out of 28 ROC pilots sent to the US completed training between 1959 and 1973, at Laughlin Air Force Base, Texas. On the night of 3 August 1959, a U-2 on a training mission, out of Laughlin AFB, Texas, piloted by Maj. Mike Hua of ROC Air Force, made a successful unassisted nighttime emergency landing at Cortez, Colorado, that was later known as "Miracle at Cortez", and Major Hua was later awarded the US Air Force Distinguished Flying Cross for saving the top secret aircraft. In July 1960, the CIA provided the ROC with its first two U-2Cs, and in December the squadron flew its first mission over mainland China. Other countries were also covered from time to time by the 35th Squadron, such as North Korea, North Vietnam and Laos, but the main objective of the ROC 35th Squadron was to conduct reconnaissance missions assessing the PRC's nuclear capabilities. For this purpose the ROC pilots flew as far as Gansu and other remote regions in northwest China. Some of the missions, due to mission requirements and range, plus to add some element of surprise, had the 35th Squadron's U-2s flying from or recovered at other US air bases in Southeast Asia and Eastern Asia, such as K-8 (Kunsan) in South Korea, or Tikhli in Thailand. All US airbases in the region were listed as emergency/ alternate recovery airfields and could be used besides the 35th Squadron's home base at Taoyuan airbase in Taiwan. 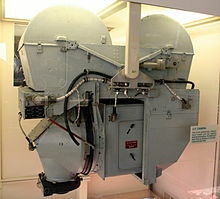 Initially, all film taken by the Black Cat Squadron would be flown to Okinawa or Guam for processing and development, and the US forces would not share any of the mission photos with Taiwan. Only in late 1960s did the USAF agree to share a complete set of mission photos and help Taiwan set up a photo development and interpretation unit at Taoyuan AB. In 1968, the ROC U-2C/F/G fleet was replaced with the newer U-2R. However, with the coming of the Sino-Soviet split and the rapprochement between the US and the PRC, the ROC U-2 squadron stopped entering Chinese airspace, and instead only conducted electronic surveillance plus photo reconnaissance missions with new Long-Range Oblique Reconnaissance (LOROP) cameras on the U-2R while flying over international waters. 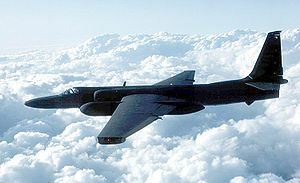 The last U-2 aircraft mission over mainland China took place on 16 March 1968. After that, all missions had the U-2 aircraft fly outside a buffer zone at least 20 nautical miles (37 km) around China. During his visit to China in 1972, US President Richard Nixon promised the Chinese authorities to cease all reconnaissance missions near and over China, though this was also made practical because US photo satellites by 1972 were able to provide better overhead images without risking losing aircraft and pilots, or provoking international incidents. The last 35th Squadron mission was flown by Sungchou "Mike" Chiu on 24 May 1974. At the end of ROC's U-2 operations, out of a total of 19 U-2C/F/G/R aircraft operated by the 35th Squadron from 1959 to 1974, 11 were lost. The squadron flew a total of about 220 missions, with about half over mainland China, resulting in five aircraft shot down, with three fatalities and two pilots captured, and another six U-2s lost in training with six pilots killed. On 29 July 1974, the two remaining U-2R aircraft in ROC possession were flown from Taoyuan AB in Taiwan to Edwards AFB, California, US, and turned over to the USAF. Picture - A Lockheed U-2F being refueled by a Boeing KC-135Q. In May 1961, in a little-known attempt to extend the U-2's already considerable range, Lockheed modified six CIA U-2s and several USAF U-2s with aerial refueling equipment which allowed the aircraft to receive fuel from either the Boeing KC-97 Stratotanker or from the Boeing KC-135 Stratotanker. This extended the aircraft's range from approximately 4,000 to 8,000 nautical miles (7,400 to 15,000 km) and extended its endurance to more than 14 hours. The J57-powered U-2Bs were re-designated U-2E and the J75-powered U-2Cs were redesignated U-2F. Although the modified U-2s were capable of flying for over 14 hours this took little account of pilot fatigue, and although an additional oxygen cylinder was installed on these aircraft little use was made of this capability. One aircraft was both air-refueling- and carrier-capable and was the only U-2H. The U-2R, first flown in 1967, is significantly larger and more capable than the original aircraft. A tactical reconnaissance version, the TR-1A, first flew in August 1981. A distinguishing feature of these aircraft is the addition of a large instrumentation "superpod" under each wing. Designed for standoff tactical reconnaissance in Europe, the TR-1A was structurally identical to the U-2R. The 17th Reconnaissance Wing, Royal Air Force Station Alconbury, England used operational TR-1As from 1983 until 1991. The last U-2 and TR-1 aircraft were delivered to the Air Force in October 1989. In 1992 all TR-1s and U-2s (all U-2Rs) were designated U-2Rs. The two-seat trainer variant of the TR-1, the TR-1B, was redesignated as the TU-2R. After upgrading with the F-118-101 engine, the former U-2Rs were designated the U-2S Senior Year. A derivative of the U-2 known as the ER-2 (Earth Resources -2) is based at the Dryden Flight Research Center and is used by NASA for high-altitude civilian research including Earth resources, celestial observations, atmospheric chemistry and dynamics, and oceanic processes. Programs using the aircraft include the Airborne Science Program, ERAST and Earth Science Enterprise. Republic of China Air Force - operated U-2s during 1960-1974. National Air and Space Museum, Washington, DC. Article 347, 56-6680, the seventh U-2 built, a U-2C, is the oldest surviving airframe. National Museum of the United States Air Force, Wright-Patterson AFB, Ohio. Edward F. Beale Museum, Beale AFB, California. Strategic Air and Space Museum, near Ashland, Nebraska. Military Museum of the Chinese People's Revolution, Beijing, People's Republic of China. A complete U-2 wreckage has been re-assembled and is on display in the aircraft exhibit hall. According to the display information, it was a ROC/Taiwan U-2 that was shot down over the PRC in 1962. In the television series Call to Glory (ABC, 1984 to 1985), the U-2 was the "main ride" of US Air Force Colonel Raynor Sarnac from the October 1962 Cuba Crisis to 1979. The U-2 is mentioned in the Billy Joel song We Didn't Start the Fire. The U-2 also appears prominently in the movie Thirteen Days (2000). On the BBC program James May at the Edge of Space (2009), James May of Top Gear fame, goes on a flight in a U-2. 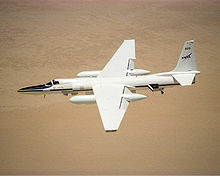 The image of a Lockheed U-2 was used on the cover of the controversial 1991 EP released by the band Negativland and titled U2. Donald, David, ed. "U-2 The Second Generation". Black Jets. AIRtime, 2003. ISBN 1-880588-67-6. Fensch, Thomas. The C.I.A. and the U-2 Program: 1954-1974 (Top Secret). Chula Vista, CA: New Century Books, 2001. ISBN 0-930751-09-4. Frawley, Gerard. 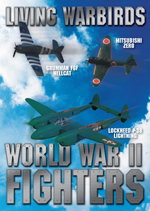 The International Directory of Military Aircraft. 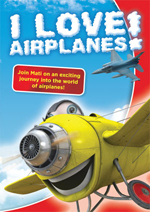 Fyshwick, Australia: Aerospace Publications Pty Ltd, 2002. ISBN 1-875671-55-2. Hobson, Chris. Vietnam Air Losses, USAF, USN, USMC, Fixed-Wing Aircraft Losses in Southeast Asia 1961 - 1973. North Branch, Minnesota: Specialty Press, 2001. ISBN 1-85780-115-6. Jenkins, Dennis R. Lockheed U-2 Dragon Lady, p. 39. North Branch, MN: Specialty Press, 1998. ISBN 1-58007-009-4. Miller, Jay. 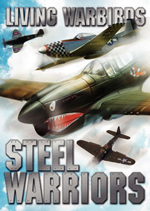 Lockheed Martin's Skunk Works: The Official History... (updated edition). Leicester, UK: Midland Publishing Ltd., 1995. ISBN 1-85780-037-0. Pedlow, Gregory W. and Donald E. Welzenbach. The Central Intelligence Agency and Overhead Reconnaissance: The U-2 and OXCART Programs, 1954-1974. Washington, DC: Central Intelligence Agency, 1992. ISBN 0-7881-8326-5. Pocock, Chris. 50 Years of the U-2: The Complete Illustrated History of Lockheed's Legendary Dragon Lady. Atglen, PA: Schiffer Pub. Ltd., 2005. ISBN 0-7643-2346-6. Polmar, Norman. Spyplane: The U-2 History Declassified. St. Paul, Minnesota: Zenith Imprint, 2001. ISBN 0-7603-0957-4. Richelson, Jeffrey T. Spying on the Bomb: American Nuclear Intelligence from Nazi Germany to Iran and North Korea. New York: W. W. Norton & Company, 2006. 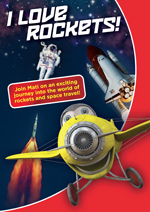 ISBN 978-0-393-05383-8. The World's Great Stealth and Reconnaissance Aircraft. New York: Smithmark, 1991. ISBN 0-8317-9558-1. Lockheed U-2 Pictures and Lockheed U-2 for Sale.